Held at and Hosted by Birch Creek Beaglers. 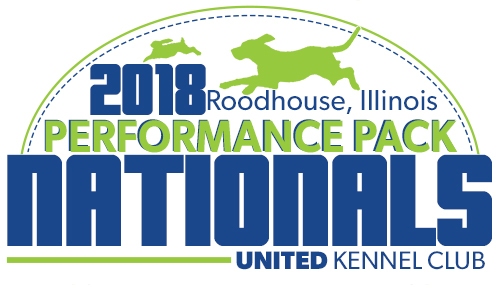 Performance Pack Nationals kicks off the UKC Beagle event calendar. In Performance Pack events dogs are drawn to 5 dog casts and sent to the field with a judge who stays with the dogs as they run a track. Judges evaluate each dog in the pack on their ability to accurately run a rabbit. In the end the judge tabulates the scores he has accumulated on each dog and a winner is announced. eligible for National Runoff. State race winners advance to second round. UKC to send invitations to owners of all eligible dogs. hounds in late afternoon for Saturdays Performance Pack Nationals. Time period to be posted. Friday evening at 7 p.m. Club to host dinner special. All 2016 State Race winners recognized and will receive award and jacket. Entry Deadline: 7 a.m. (Central Standard Time) All categories. Entry Fee: $25. All rounds are 60-minute hunts. Show to be held Saturday evening after return of last cast. Regular Bench Show rules apply. Best of Winners (REG), Champion and Grand Champion winners to receive nice plaques. Additionally, overall winner (Best of Breed) to receive nice trophy. Directions: Garners Archery, Route 67 North, Roodhouse, Illinois. Located on the north edge of Roodhouse. Large red building on north side of the road across from ball park. Watch for signs. Non-UKC Registered Dogs: Single Registration is available at the event ($20). Owners are not required to register dog on day of event and may enter as non-registered dog ($3). 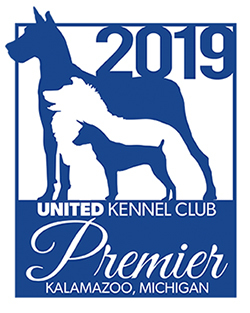 Permanent Measuring: Throughout the weekend owners have the opportunity to permanently measure their hounds that are 18 months and older that are permanently registered with United Kennel Club. Fee is $15. Time periods for permanent measuring to be announced at the event. United Kennel Club Representation: UKC Representatives will be on site throughout the weekend. Owners may submit any dog registration paperwork for transfer of ownership. DNA kits, New Club Packets, Performance Pack Judges Applications, Bench Show Judge Applications, Beagle Single and Litter Registration Applications, rulebooks and other UKC items are available to participants.